January 18, 2017 07:00 ET | Source: Windstream Holdings, Inc.
ROCHESTER, N.Y., Jan. 18, 2017 (GLOBE NEWSWIRE) -- Allworx® Corp., a Windstream (NASDAQ:WIN) company, today introduced Allworx Verge™, a new class of mobile-first IP phones for businesses. Allworx also introduced System Software version 8.2, Allworx Reach™ version 3.0 (for iOS and Android) and Allworx Interact™ Professional version 3.0 to support the latest mobility integration features available with Verge. As smartphones have become the central hubs for business users to manage communications and store contacts, traditional business desk phones are increasingly becoming isolated, less-useful devices. In fact, according to a new third-party survey of 486 U.S. workers with access to both a dedicated work desk phone and a smartphone, only one in two regularly use their desk phones for making voice calls, and one in three prefer to use their smartphones to make voice calls – even when they have easy access to a desk phone. One in three say they are willing to give up desk phones at work entirely. The Reach mobile application replicates the rich functionality of Verge IP phones to iOS and Android mobile devices for today’s mobile work force. The Interact Professional application combines the ease of PC-based call management interface with the high voice quality of Verge IP phones, boosting productivity for power users such as front desk staff, customer support staff and sales professionals. Allworx Verge 9312, 9308 and 9318Ex Expander will be generally available through Allworx Authorized Resellers in early February. Allworx is an award-winning maker of VoIP communication systems for SMBs and a wholly owned subsidiary of Windstream. 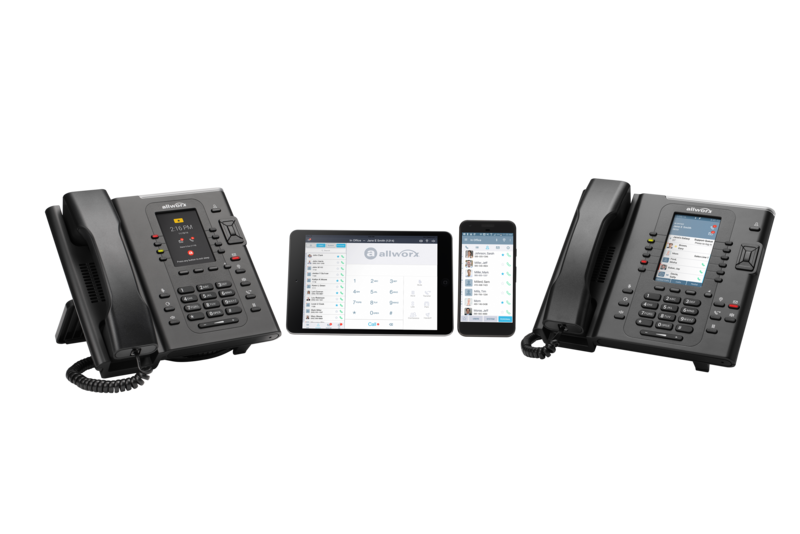 Allworx provides a complete portfolio of VoIP systems, IP phones, network switches and advanced software options to help SMBs create solutions tailored to meet their unique needs. Allworx is available to SMBs through a network of 1,000+ independent resellers in the U.S., Canada and Latin America, and also as Windstream IP Simple, a managed monthly subscription service that combines Allworx equipment with VoIP and data services from Windstream. For more information, please visit www.allworx.com. Windstream Holdings, Inc. (NASDAQ:WIN), a FORTUNE 500 company, is a leading provider of advanced network communications and technology solutions for consumers, businesses, enterprise organizations and wholesale customers across the U.S. Windstream offers bundled services, including broadband, security solutions, voice and digital TV to consumers. The company also provides data, cloud solutions, unified communications and managed services to business and enterprise clients. The company supplies core transport solutions on a local and long-haul fiber network spanning approximately 129,000 miles. Additional information is available at windstream.com. Please visit our newsroom at news.windstream.com or follow us on Twitter at @Windstream.